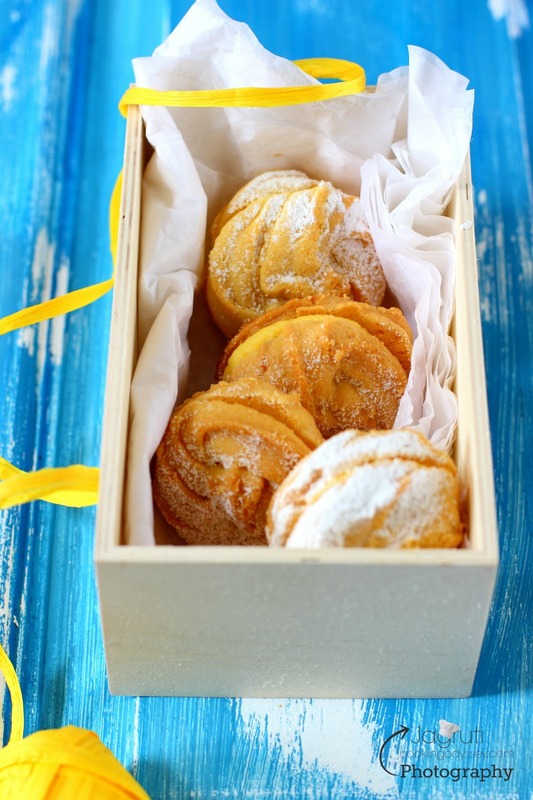 Mango Passion Fruit Melting Moments, these great little 'light as a feather' meltingly crisp style biscuits or cookies are A-M-A-Z-I-N-G !! The aroma of Mango and passion fruit butter cream landed me into tropical paradise, I love these flavours. Did I mentioned that they were amazing ?!! 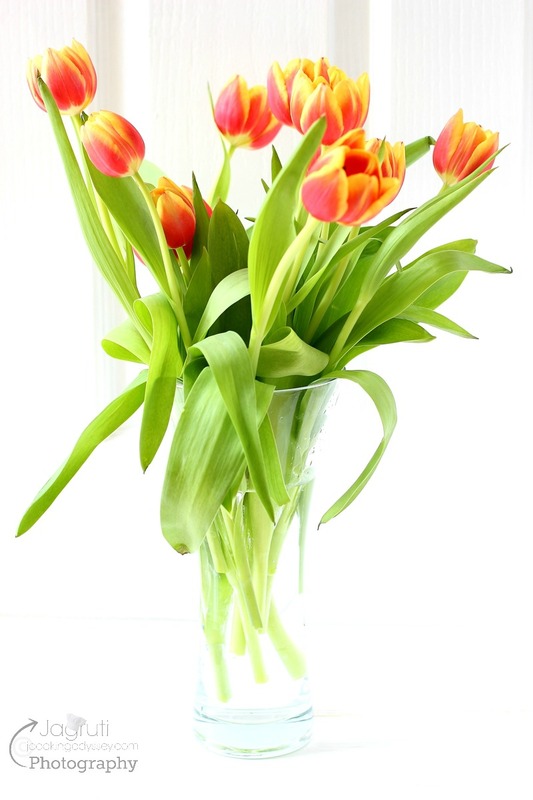 Hope you guys had wonderful Easter weekend ! As kids being at home for Easter holiday, 'Mama bear' always gets busy and happily ignores her this baby (blog), I am always happy to sneak in few breaks :) due to this break, I missed out on posting couple of Easter recipes. 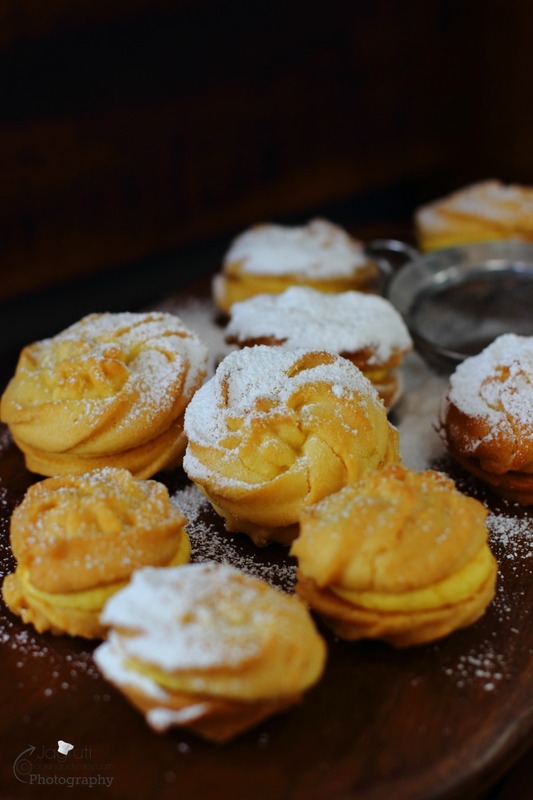 So, today I thought I'd feature Mango Passion fruit Melting Moments , which our daughter prepared on Easter for our afternoon tea, but that would be lovely for any spring, summer entertainment or special occasions like Mother's or Father's day. 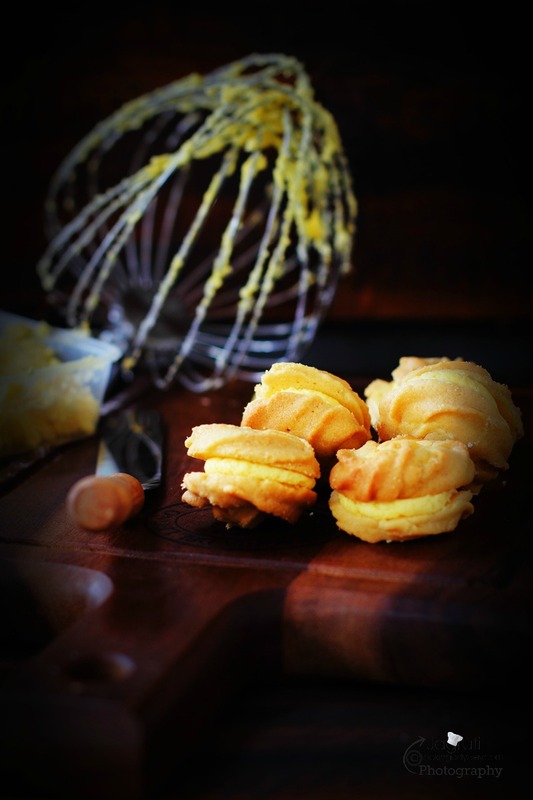 There's always a good time for Melting Moments ! In my 'Lachko Mohanthal' Diwali post I penned down how we enjoy and follow few traditions and rituals as family. Past couple of years our daughter has started this tradition that she will cook entire Christmas and Easter lunch for the family and she is sticking by it. 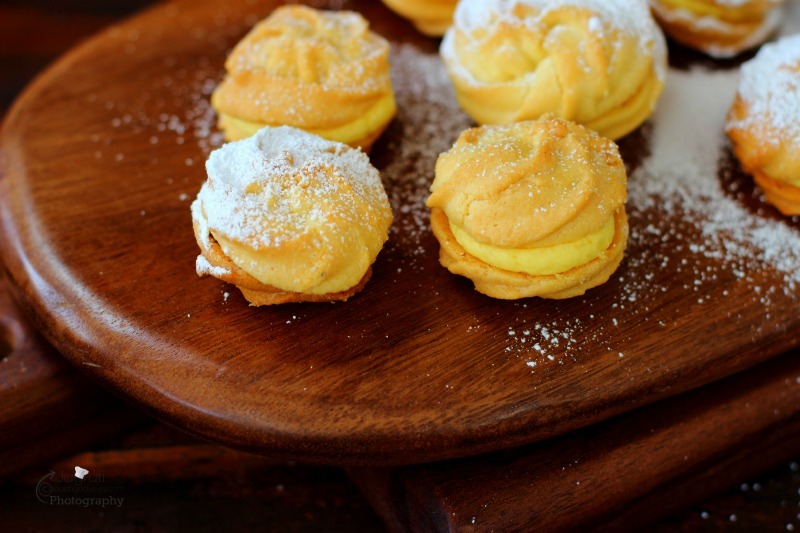 So, this year she prepared delicious Easter Roast dinner for us and for dessert we were in treat with Mango Passion Fruit Melting Moments...they were phenomenal, irresistible and soooooooooooo good that could not stop at one. 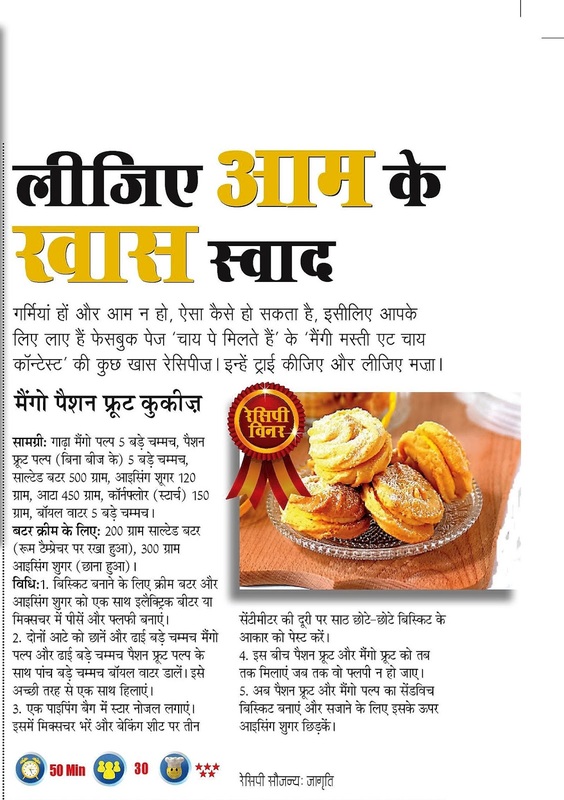 These melting moments biscuits sandwiched with aromatic butter cream, these biscuits live up to their name by melting in the mouth ! Scrumptious and Amazing. To make biscuits, cream together the butter and icing sugar with electric beaters or in a free standing mixer until pale and fluffy. Sift in the both flours and add 2 and half tbsp. mango pulp and 2 and half tbsp. passion fruit pulp. Also add 5 tbsp. just boiled water. Beat until the mixture comes together. Attach a large star nozzle to a piping bag and fill the bag with the mixture. Pipe 60 rosettes onto lined baking sheets about 3 cm apart. Bake for 20-25 minutes or until pale golden. Remove the baking sheets from the oven and leave them to cool for 5 minutes on the baking sheets. Then let it cool completely on a wire rack. 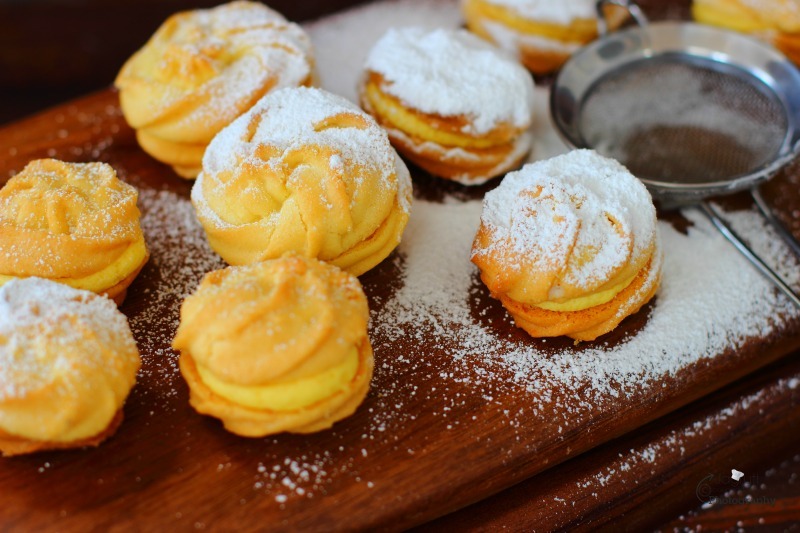 Meanwhile make the mango and passion fruit butter cream by beating together the butter and icing sugar and remaining both pulp ( Mango and Passion fruit ) until pale and fluffy. 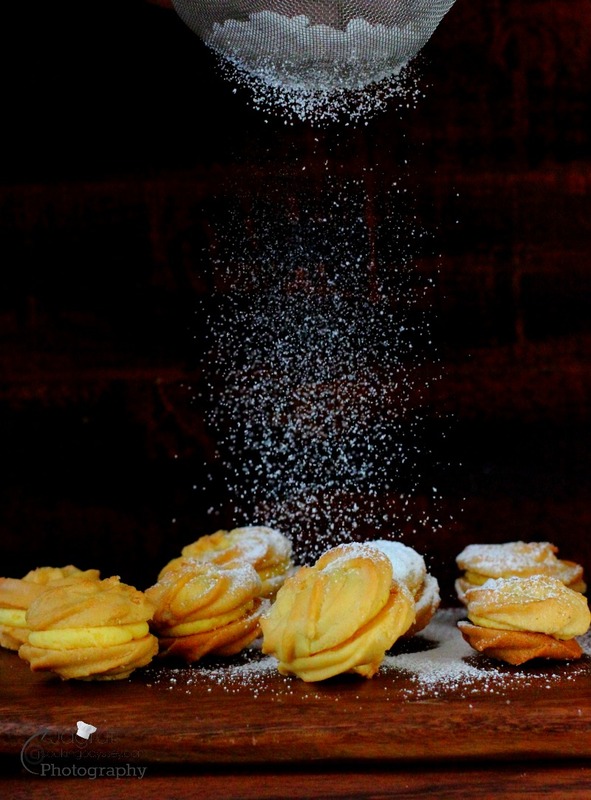 Sandwich the biscuits together using a generous amount of butter cream and finish with a dusting of icing sugar. Another dazzling feather in my many feathered cap !! Thank you Inaaya and team of ‪#‎Chaipemiltehai‬ for the opportunities. 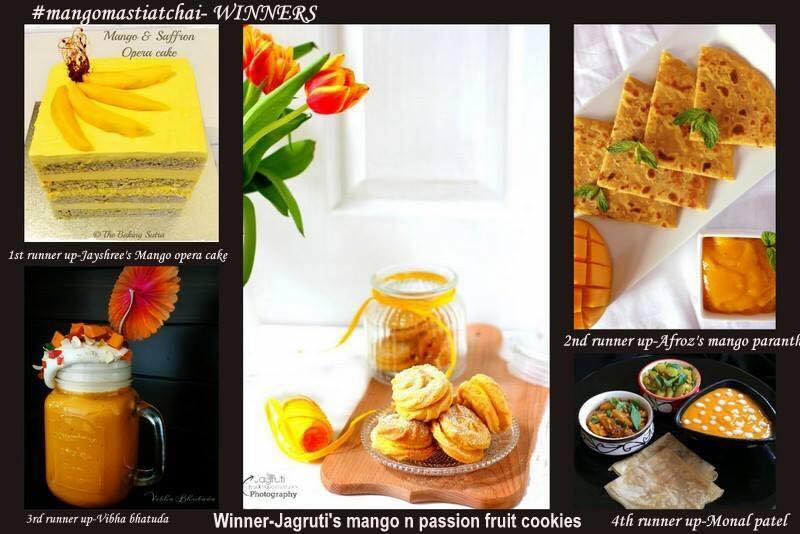 What a brilliant contest ‪#‎Mangomastiatchai‬ . You've just combined two fruits I love - mango and passion fruit! These cookies look delicious! I love ❤️ mango. Still have a few trees in our backyard in the Philippines 🇵🇭. Delicious even by itself. Loving this dish. These sound amazing! In my mind mango + passionfruit also equals tropical paradise always! Definitely my two favorite fruit flavors! LOVE the mangoes in South East Asia - so delicious : ) Have got to try making these for my family! Thank you Victoria :) Please do try and let us know how it turns out for you. 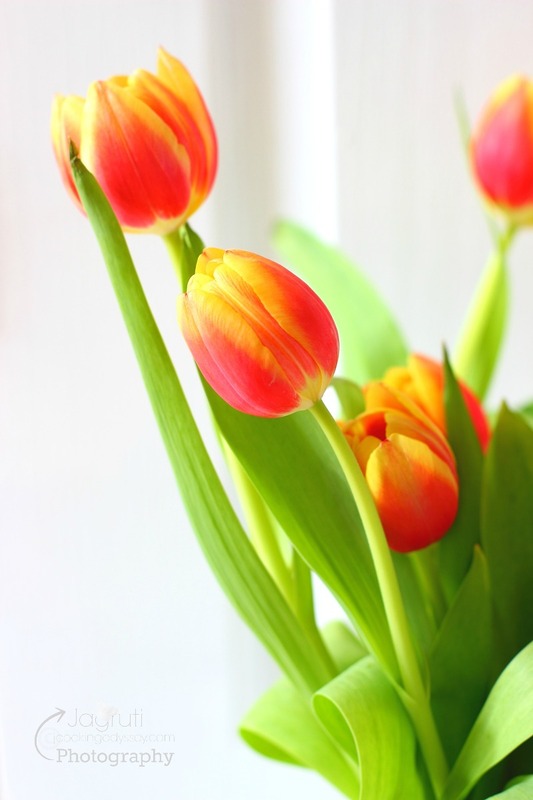 May you get more successes. :) we are already a fan of your work..love your photography style too. This recipe is blissful. 2 amazing fruits come together to make this amazing dish. Loved it. Pinning it as well. I love Mango. Definitely going to try this recipe! Thank u! Awesome..the mango and passion fruit combo must be so good. Both are my favourite. Mango and passion fruit what an amazing combination of flavours, the melting moments looks so divine. Wow, wat an interesting and exotic flavors rich melting moments, i cant resist to those beauties, am sure these melting moments will please my sweet tooth. 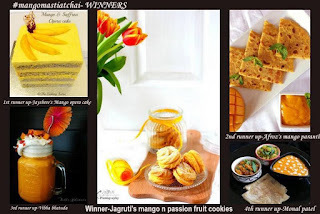 Those melting moments looks so amazing, cookies looks so crispy and love the tropical flavours which you used mango and passion fruit both are my fav..I can feel the aroma..aahaa yumm !! Wow Jagruti what a click. Loved your photography. And combination of mango and passion fruit sounds amazing. These are looking beautiful and yummy. Congratulations on the feature, though the wishes are pretty late(2016 to 2018) but nevertheless your work is amazing and I am always in awe of the recipes and photography magic you create. 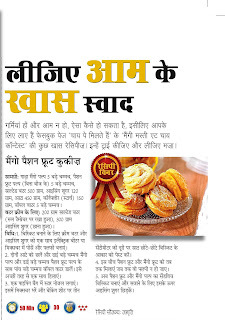 Loved the recipe and mangoes being in season, this should certainly be made soon at home now. 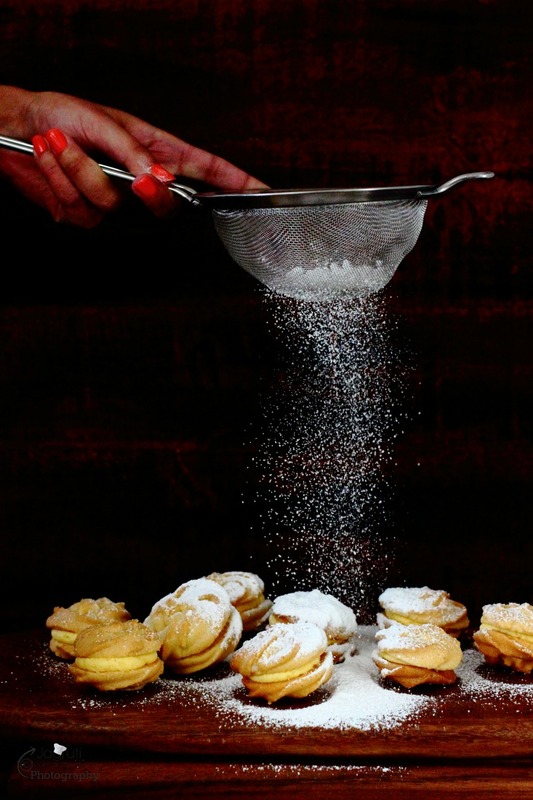 Love that shot of sprinkling the icing sugar. I have to do this once for sure.. Love the magic! I am a mango lover and look forward to trying this. Congratulations on the recipes getting printed! Stunning pictures, Jagruti! The melting moments are actually making me daydream of picking one up right off my computer screen, biting into the biscuits to reach that blissful buttercream centre. Oh my!!! These melting moment delights look so tempting and scrumptious with divine tropical flavors!! Love all the beautiful photography and by the way, congratulations on the feature and the prize :) :) Gorgeous share! Wow Congrats ! What a delicious combination.. This melting moment looks gorgeous ! Looks gorgeous! Love the combination of the biscuits. Loved your clicks too:) congratulations! Congratulations Jagruti on the win. Those sandwiched cookies truly look divine. Omg, the melting moments looks super delectable and scrumptious. I am in love with the color of these cookies. I love that these are "light as a feather". My husband loves fruity desserts that melt in his mouth. I can't wait to try these for him and the kiddos too I guess, LOL.